In my last article I introduced you to merged help and showed you how to create merged Microsoft HTML Help (CHM). This week I will show you how to create links to a merged project. Using RoboHelp, open a topic in one of the merged projects. 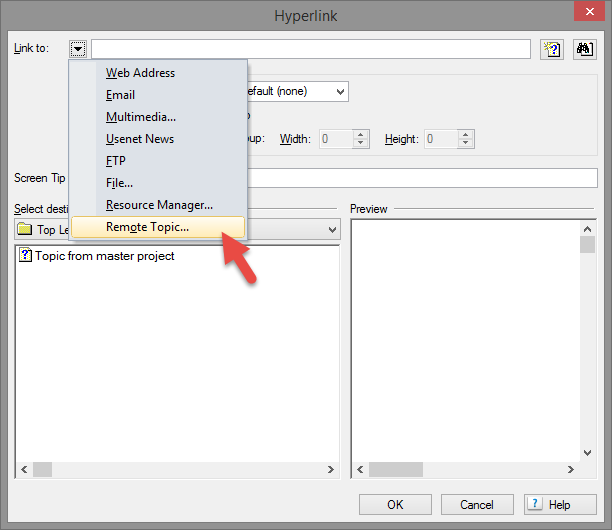 Select some text and choose Insert > Hyperlink/Popup to open the Hyperlink dialog box. From the Link to drop-down menu, choose Remote Topic. From the Topic area, select the topic you want to link to. 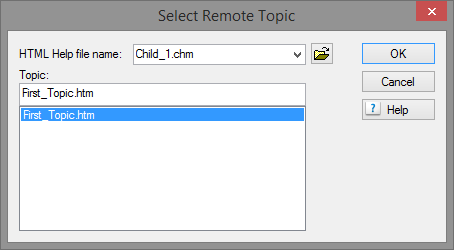 Click OK to close the Select Remote Topic dialog box. Click OK to close the Hyperlink dialog box. You created the link to another project. Please note: Should the file name of the topic in the remote project be changed, the link will no longer work. Open the TOC and click New Topic Page. Click the Link to drop-down menu and choose Remote Topic. From the HTML Help file name field, select the CHM file. Add a title for the TOC page in the Page Title field. 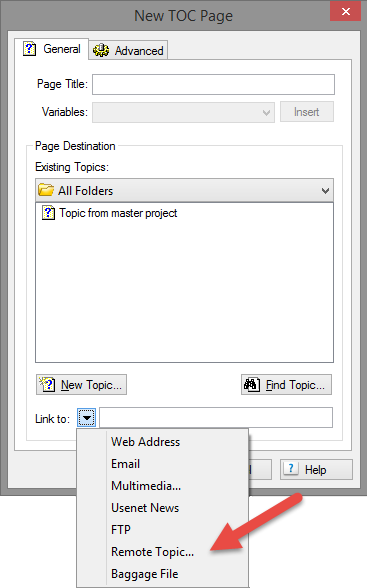 Click OK to close the New TOC Page dialog box. The link to the topic is added to the TOC. The same warning I gave you above applies: If the file name of the topic in the remote project is changed, the link will no longer work. 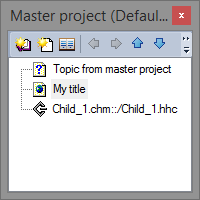 Be careful not to change the file name or location of a topic once it is referenced it in another project.